We provide recognized ISO 14001 Certification Services to our esteemed patrons. 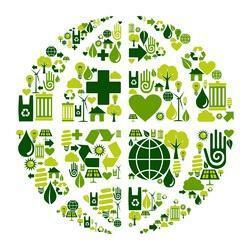 The ISO 14000 family addresses various aspects of environmental management. It provides practical tools for company looking to control their environmental impact and performance. In addition to this, ISO 14001:2004 and ISO 14004:2004 focus on environmental management systems as the other standards in the family focus on specific environmental aspects such as life cycle analysis, communication and auditing. Using ISO 14001:2004 can provide assurance to company management and employees as well as external stakeholders that environmental impact is being measured and improved as it does not state requirements for environmental performance, but maps out a framework that a company or organization can follow to set up an effective environmental management system. 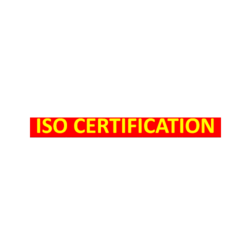 We offer ISO 14001 Certification Services in Delhi, India. We are ISO 14001 Certification agency, which provide services in different part of India from Delhi, Mumbai, Kolkata & Chennai. With our rich industrial experience, we are offering ISO 14001:2015 Certification Services. ISO 14001:2015 specifies the requirements for an environmental management system that an organization can use to enhance its environmental performance. Further, offered services are available at the fair market price. ISO 14001:2015 specifies the requirements for an environmental management system that an organization can use to enhance its environmental performance. ISO 14001:2015 is intended for use by an organization seeking to manage its environmental responsibilities in a systematic manner that contributes to the environmental pillar of sustainability. ISO 14001:2015 is the replacement for ISO 14001:2004 was published in September 2015. ISO 14001:2015 helps an organization achieve the intended outcomes of its environmental management system, which provide value for the environment, the organization itself and interested parties. The revision of ISO 14001:2015 was conducted by an ISO technical committee called ISO/TC 207/SC 1, which is comprised of nominated technical experts by their National Standards Bodies & liaison organizations. The international ISO 14001 standard for environmental management has been undergoing revision since early 2012. The newly revised version, which went into effect in September 2015, permanently replaced the version from 2004 as well as the 2009 amendments. According to the latest ISO survey data, more than 300,000 organisations are certified to ISO 14001 globally. These organisations must seize this opportunity to improve their EMS, ensuring that it’s relevant, sustainable, and effective. We offer ISO 14001 Certification Services, which cover environmental management that are intended to provide organizations an effective environmental management system (EMS). It can be integrated with other management requirements and help organizations to achieve environmental and economic goals, but cannot be used to create non-tariff trade barriers or to increase or change an organization's legal obligations. 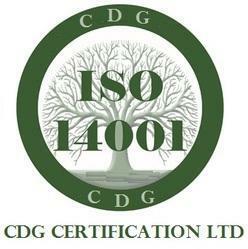 CDG Certification Ltd is a pioneer ISO 14001 certification company. Contact us today for ISO 14001 certification. 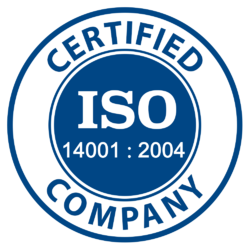 Our Company is the well-known name in the industry we are engaged in offering the best quality Best ISO 14001 Certification Services. In ISO 14001 certification impacts of an organization's activities on the environment are based & measures are taken to minimize those impacts. ISO 14001 certification ensures environment management system in an organisation. ISO 14001:2004 certificate is also known as EMS certificate. In ISO 14001 certification empact of an organisation's activities on environment is assed & measures are taken to minimise those impacts. CDG is a market leader in ISO 14001 certification services. 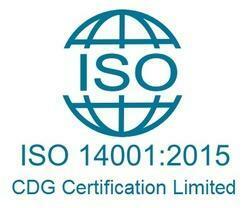 So if you are looking for ISO 14001 EMS certificate contact CDG. 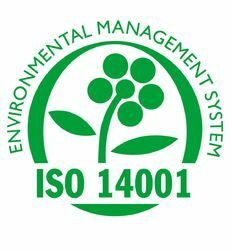 As per the precise requirements of the customers, we are presenting the best quality array of ISO 14001:2004 Environment Management System to our prestigious clients. 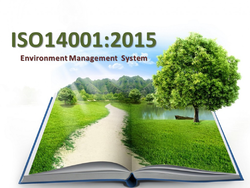 ISO 14001 specifies the actual requirements for an environmental management system. It applies to those environmental aspects which the organization has control and over which it can be expected to have an influence. ISO 14001 was first published in 1996 and specifies the actual requirements for an environmental management system. It applies to those environmental aspects which the organization has control and over which it can be expected to have an influence. ISO 14001 is an international standard developed by the International Organization for Standardization (ISO) through dedicated technical committees representing approximately 150 countries around the world. Its purpose is to enable an organization of any type or size to develop and implement a policy committing it to prevention of pollution, compliance with legal and other requirements, and continual improvement. ISO 14001, the international standard for Environmental Management Systems (EMS), will help your organization identify, and systematically reduce, any harmful effects it may have on the environment. ISO 14001 certification is aligned with environmental protection and applicable to all businesses. It demonstrates control of an organisation’s environmental management system and promotes corporate environmental responsibility. An Environmental Management System provides a framework for managing environmental responsibilities so they become more efficient and more integrated into overall business operations.CDG's ISO 14001 Environmental Management System (EMS) provides a continuous cycle of planning, implementing, reviewing, and improving the processes and actions that are performed to meet business and environmental goals. The EMS influences all aspects of Cisco operations, products, and services, including compliance with environmental requirements and regulations. If you would like to reduce both your costs and environmental impact, while enhancing stakeholder and customer trust, then look no further than ISO 14001 certification. The ISO 14001 standard will guide your business through the controls needed for any of your activities that have an effect on the environment. This includes the use of natural resources, handling and treatment of waste and energy consumption. Implementation of an environmental management system will help your business maintain legal and industry compliance and meet and even possibly exceed your customer requirements. Many organisations find that without ISO 14001 certification, they fail to pass the Pre Qualification Questionnaire (PQQ) stage of tendering, or worse still, don't even get invited to tender. Having a formal EMS doesn't just help you win business, but also provides your organisation the tools to drive your internal programme forward, cut operational costs and engage teams. Rendered aeries of guidance standards to help you understand how the international community believes organizations should address related topics such as environmental claims, verification of greenhouse gas emissions, management of sustainable forestry, environmental auditing, performance evaluation, and life cycle assessment. ISO 14001 boosts the performance of organizations. Its benefits are considerable. ISO 14001 has been designed to dovetail with other standards such as ISO 9001 ( Quality ) and OHSAS 18001 ( Safety). 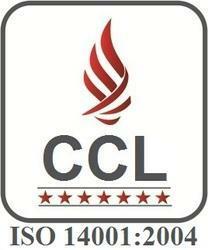 CDG Certification Limited is a leading ISO 14001 certification company of India. ISO 14001 Certification in Delhi, ISO 14001 Certification in Mumbai, ISO 14001 Certification in Kolkata, ISO 14001 Certification in India. Our organization is offering an astonishing range of ISO 14001 EMS Certification Services. ISO 14001 defines a set of environmental management requirements for environmental management systems. The purpose of this standard is to help all kinds of organizations to protect the environment, to prevent pollution, and to improve their overall environmental performance. ISO 14001 is an Environmental Management Standard (EMS). It defines a set of environmental management requirements for environmental management systems. The purpose of this standard is to help all kinds of organizations to protect the environment, to prevent pollution, and to improve their overall environmental performance.ISO 14001:2004 is an international standard that gives requirements for an organisation’s Environmental Management System (EMS). It is part of a family of standards published by the International Organisation for Standardisation (ISO) often referred to collectively as the ISO 14000 series. ISO 14001 certification provides an organization’s customers, suppliers, employees and other stakeholders with evidence of the operations commitment to environment protection. Since it was first published in 1996, ISO 14001 has rapidly become the most important environmental standard in the world. Thousands of organizations use it, environmentalists support it, and governments actively encourage its use. ISO 14001 applies to all types of organizations. It doesn’t matter what size they are or what they do.ISO 14001 is the internationally recognized standard for quality management regarding environmental concerns. CDG has transformed the ISO 14001 certification process into an opportunity for you to improve your company’s efficiency, increase profits and most importantly assure environmentally sound practices. In our unique approach to quality certification, we customize the process in every possible way, providing a service that meets your individual requirements. With this focus in mind, our ISO auditors uncover ways to benefit you. If you are thinking, how to get ISO 14001 Certification in India then you are in safe hands. We provide one of the most exhaustive suites of ISO 14001 Certification services to help the companies plan, design, implement, monitor, control, improve and enhance their ISO 14001 Certification management system. Our ISO 14001 Certification experts are known for being innovative, simple, practical and effective resulting in a implementation process that is value adding to the business operations of the organization. An ISO 14001 certificate proves that your environmental management system has been measured against a best practice standard and found compliant. Issued by a third party certification body/registrar, the certificate lets customers know they can trust that you are actively minimising the environmental impacts of your company’s processes, products, and services. ISO 14001 certification is aligned with environmental protection and applicable to all businesses. It demonstrates control of an organisation’s environmental management system and promotes corporate environmental responsibility. ISO 14001 is the most recognized international standard for environmental management systems. It is used worldwide. The nature of ISO 14001 allows it to be applied to the complete range of business sectors, scopes, and activities. It is a truly universal standard, which is one of its great benefits. It provides a framework through which an organisation can deliver environmental performance improvement in line with its environmental policy commitments. ISO 14001 is designed to be compatible and harmonized with other recognized management system standards, including ISO 9001. Our organization is a foremost name in the industry, engaged in offering a wide assortment of Get ISO 14001:2015 Certification to our clients. ISO 14001 is for environmental aspects of value chains and thus follow the trend to not only emphasize the environmental impacts of business activities but also the processes and the life cycle of products and services. All ISO standards are reviewed every five years to determine if a revision is necessary to keep it current and relevant for the marketplace. ISO 14001:2015 will respond to latest trends and ensure it is compatible with other management system standards, such as ISO 9001. The standard has been technically revised and the new standard, ISO 14001: 2015 was released on September 15, 2015. This third edition of the standard cancels and replaces the ISO 14001: 2004. A three year Transition Period will apply respectively from publication date of ISO 9001:2015 and ISO 14001:2015. If you currently have 14001, or are aiming to gain certification, the revised standard will affect you by placing additional emphasis on environmental leadership in the organisation, getting value from your management system and better integration of your EMS with your business strategy. The final ISO 14001:2015 standard was published on September 15, 2015. This replaces the 2004 version. If you are already certified, or are considering certification, there is a three-year transition period. So what does that mean? During the next three years, an organization can choose to certify to either version; however, by September 2018, the 2004 standard will be no longer valid and certified organizations must conform to the 2015 version. Organizations that are currently ISO 14001 certified have three years to transition and recertify to the 2015 standard. The new ISO 14001 will be more oriented towards environmental aspects of value chains and thus follow the trend to not only emphasize the environmental impacts of business activities but also the processes and the life cycle of products and services. Companies often find themselves in dynamic environments with the new challenges. The new ISO 14001:2015 will provide more flexibility. ISO 14001:2015 places more emphasis on environmental management within an organization’s strategic planning process. A new requirement to understand the organization and its context has been incorporated to identify relevant issues and leverage that knowledge during the planning process for the benefit of both the organization and the environment. ISO 14001:2015 sets out the framework for effective environmental management systems. The new ISO 14001:2015 has been published. Organisations can therefore begin the transition journey to the new standard. There is a three-year transition period for those certified to the previous standard. ISO 14001:2015 will take a new structure that is relevant to all ISO management systems, leading to easy integration with multiple systems. ISO 14001:2015 also now requires that the business look beyond its four walls to evaluate the potential for influencing others who may cause impacts while supporting activities, products, or services on behalf of the entity. In other words, an assessment of the supply chain is now required as part of the aspect and impact assessment. The future ISO 14001:2015 will respond to the latest trends and be compatible with other ISO management systems. CDG Certification Ltd is a leading ISO 14001:2015 certification company of India. COntact us today for ISO 14001:2015 transition or new certification. Backed by a team of highly experienced professionals, we are actively involved in offering a broad assortment of ISO 14001:2015 Certification Company to our customers. ISO 14001:2015 helps an organization achieve the intended outcomes of its environmental management system, which provide value for the environment, the organization itself and interested parties. As per the precise requirements of the customers, we are presenting the best quality array of Apply For ISO 14001 Certificate to our prestigious clients. Our service is rendered by our talented professionals as per the industry quality standards. ISO 14001 certification ensures environment management system in an organization. We are offering a wide array of ISO 14000 Certification Services. ISO 14000 Certification series highlights adherence with environmental management standards developed by the International Organization for Standardization (ISO). Further, offered services are available at the fair market price.